A taste sensation for any party. A break from sausage rolls, without substituting flavour! This is really easy to make and incredibly delicious. 1. Separately roll bananas and chicken livers in bacon. 2. 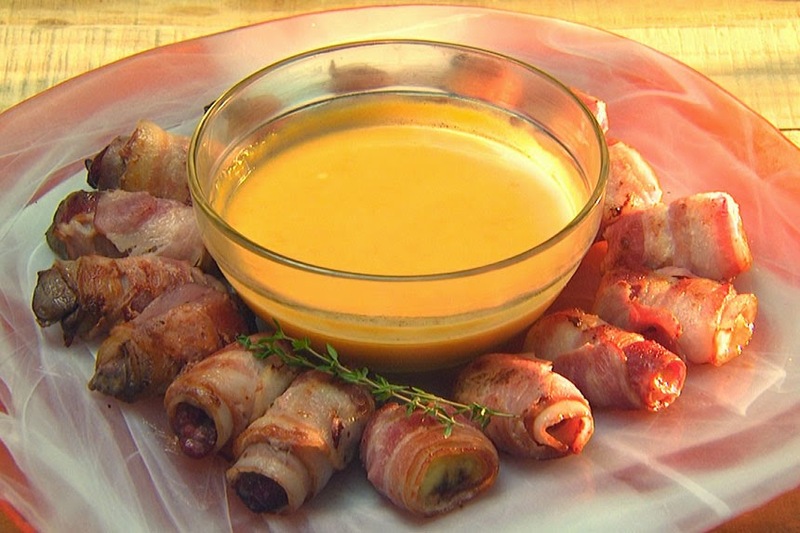 Place banana and chicken bacon rolls in separate trays and bake in a preheated 350ºF oven until golden. Allow to cool down. 3. For the dip, whisk all ingredients together until well-incorporated. Season with salt and pepper. Set aside. 4. 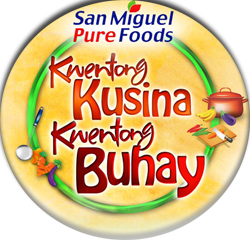 Arrange Purefoods Honey-Cured bacon crunch salad, bacon rolls and Magnolia cheezee dip in one platter.